*edit 22 July 2012: The curry mee stall has moved to Restoran Millennium Eighty Six in Paramount Garden. “This is soup for the soul…” I said to Ken, in between spoonfuls of laksa broth. We met up for a late breakfast/brunch last weekend at coffeeshop called Restoran Good Food in PJ State Old Town. Over dinner the night before, Ken spoke about a good Penang curry mee place and we decided to do brunch there the next day. Despite eating curry mee very often, I rarely go for Penang curry mee unless I’m in Penang. Also, I find most Penang curry mee in Klang Valley to be lacking in oomph. But Ken assured me the curry mee stall at Good Food is far from bland as the auntie who prepares the broth is a Hokkien from Penang. 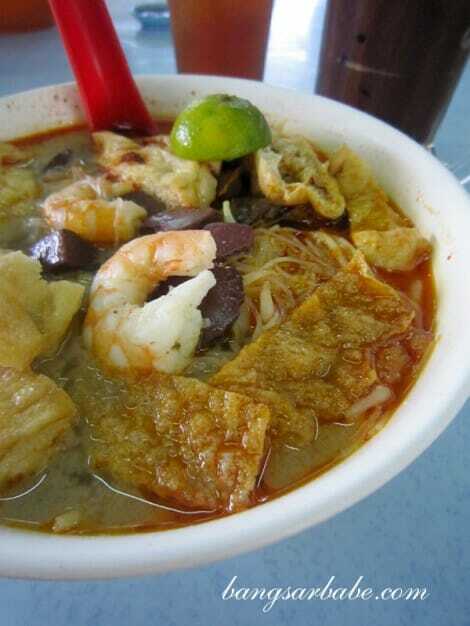 My curry mee (RM4.50 – small, RM5 – large) came with tofu puffs, prawns, cockles, cuttlefish and pork blood cubes. The chilli paste was served separately. When mixed together with the noodles, the paste thickened the coconut based soup and gave it a glorious red hue. This was one of the tastiest Penang curry mee I’ve eaten. Aromatic, spicy and sweetish, the chilli paste enhanced the overall flavour of the noodles. I was told that the auntie uses plenty of prawn heads to prepare the broth, hence the fuller flavour. Shiok! I don’t like eating pork blood cubes but I did the unthinkable and ate every single piece from this stall. It was not mushy or smelly like some pork blood cubes I’ve tried. Instead, I found it firm and creamy. The cockles were fresh and juicy while the prawns retained its natural sweetness. I polished off the noodles and even asked for extra soup, which the auntie kindly obliged. In Penang, they usually don’t give you extra soup. 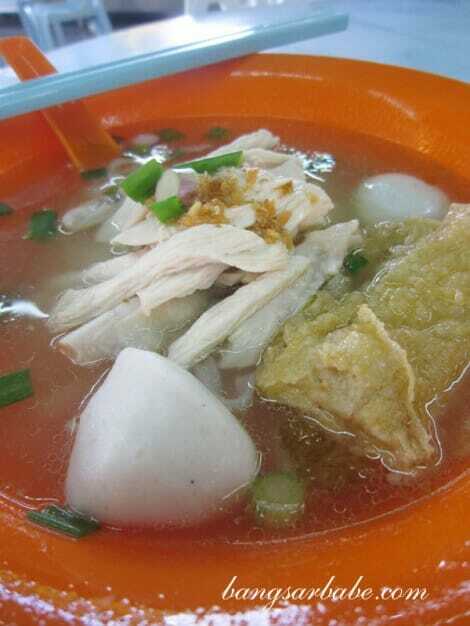 rif had the Penang fish ball kuay teow soup from a different stall. 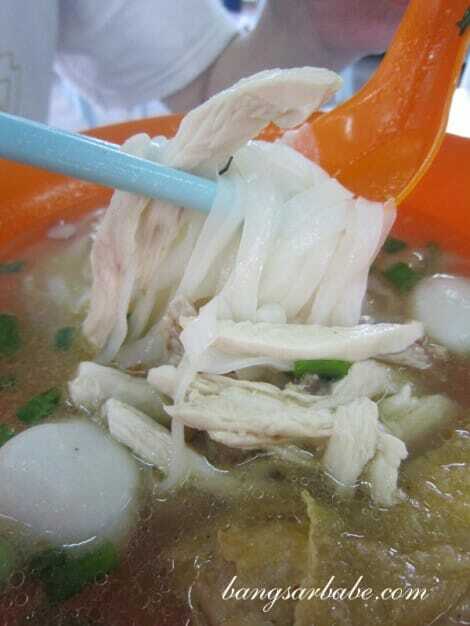 His bowl (RM4.50 – small, RM5 – large) came with chicken strips, fish balls and kuay teow noodles. Simple, but decent. The broth had a good balance of savoury and sweet flavour, and was aromatic from the addition of prawn heads. That said, I still prefer the curry mee. The char kuay teow was said to be good, but sadly, it wasn’t opened that morning. I guess that calls for another visit soon. Thanks Ken, for the recommendation! I look forward to more makan outings with you. Verdict: For good Penang curry mee in Klang Valley, this is one of your best bet! this post looks strangely familiar! Those soups look super tasty! 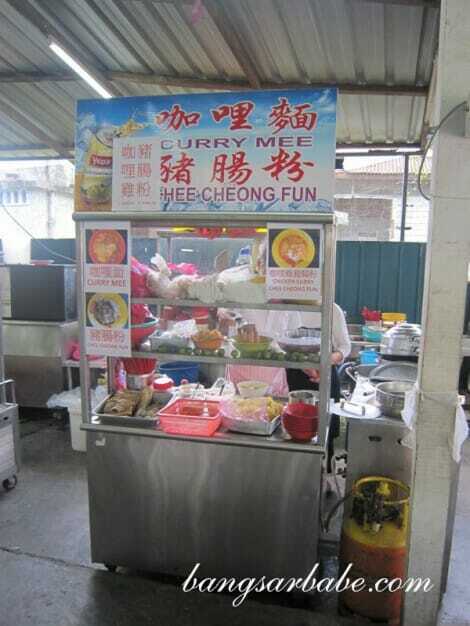 After reading your blog on this stall, I went to the coffeeshop to try the curry mee. Seems that the “curry mee” seller has since passed on (died) and the stall is no more in operation. Just found out they moved to Paramount Garden. The stall is now in Millennium Eighty Six Coffeeshop. Will look for it ..
Can you please tell me where the Millennium eighty six coffee shop is? 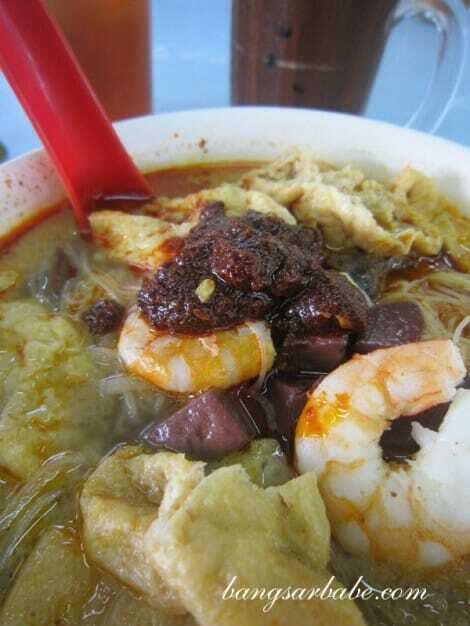 I am a sucker for good penang food, coz i am a bias penangite! I really want to try this fella’s penang curry me. I managed to find the place today, at about 2:30 pm, but the curry mee stall was closed already. Closed for the day, right? Or closed for good? Closed for the day. So i drove to bandar puteri to makan at Penang One. 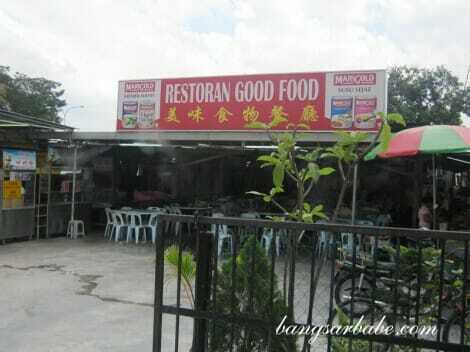 There is supposedly a good penang curry me stall in SS2, on the same road as Kayu Restoran, but at the opposite end of the block at the corner coffee shop. But i have never tried it because they close very early. I got there once at 8:00 am ( yes in the early MORNING! ), and the curry me guy told me there is already a very long queue of orders, and he can’t take any new orders. Don’t bother going after 8:30am because his stall will be closed by then. 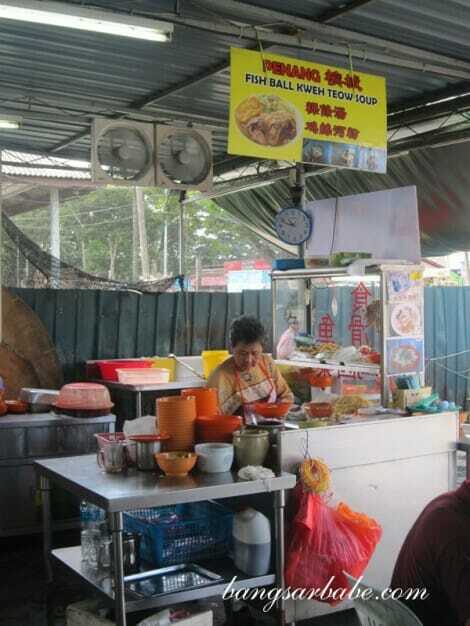 I am going there for lunchhh .. . one of my fav stall . . whenever i miss pg curry mee . . 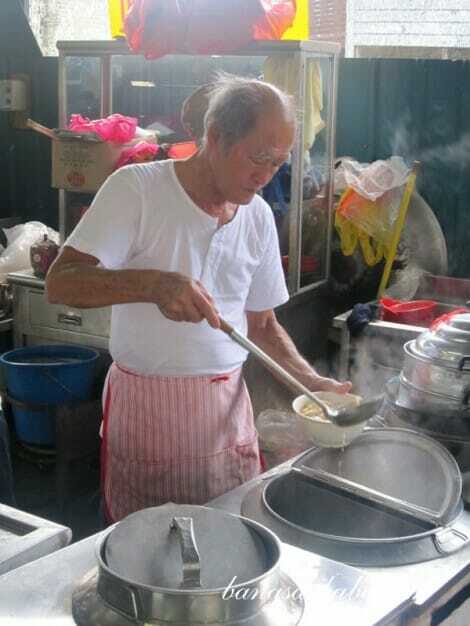 They resigned as hawker…any other place you know selling Penang curry mee?